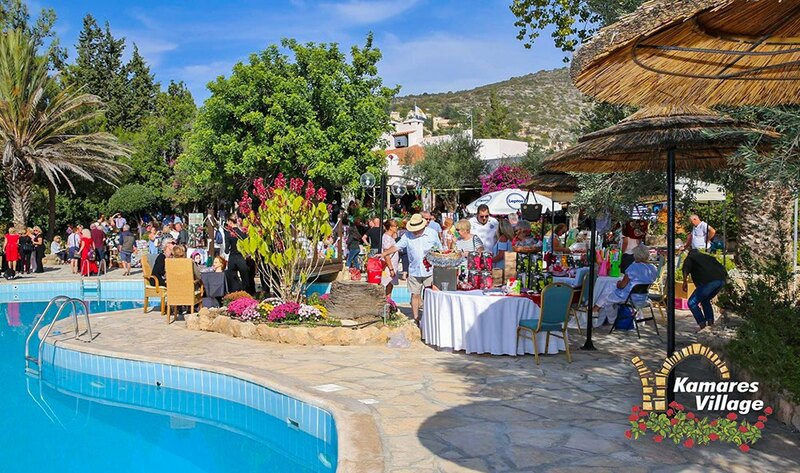 The annual Kamares Christmas Bazaar took place this weekend at the Leptos Kamares Club, near Tala, Paphos. More than 50 stall holders displaying their homemade and imported products including candles, books, jewellery, cakes, sweets, ceramics, art works, toys and Christmas decorations happily took part in this enjoyable event. Organisers “In Any Event” and Leptos Kamares Club arranged a full Entertainment program for this great day, hosted by Simone Celine Swift, “Paphos Zingers” the “ Spa Tonic Fitness Demonstration”, Celia Stavri, Melissa Williams, and Alan Lyon on saxophone. As with all the events, a charity raffle took place which raised a substantial amount for the benefit of local charities. The International Award winning development Leptos Kamares Village, is one of the most prestigious developments ever built in Cyprus and a “Great Place to Live”. The area is well known for its traditional houses with stone arches, breath-taking sea views, healthy climate and the natural environment. Photo: People enjoying their time at the Kamares Christmas Bazaar.